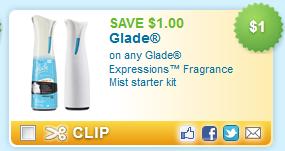 Thirteen (13) Glade coupons to print today! You can usually print each coupon twice per computer! Print quickly - they may go fast!